dopl3r.com - Memes - Déborah aNachdemregen Forever mood. #You #Peach male energy in my healing space just... isnt optimal. Déborah aNachdemregen Forever mood. 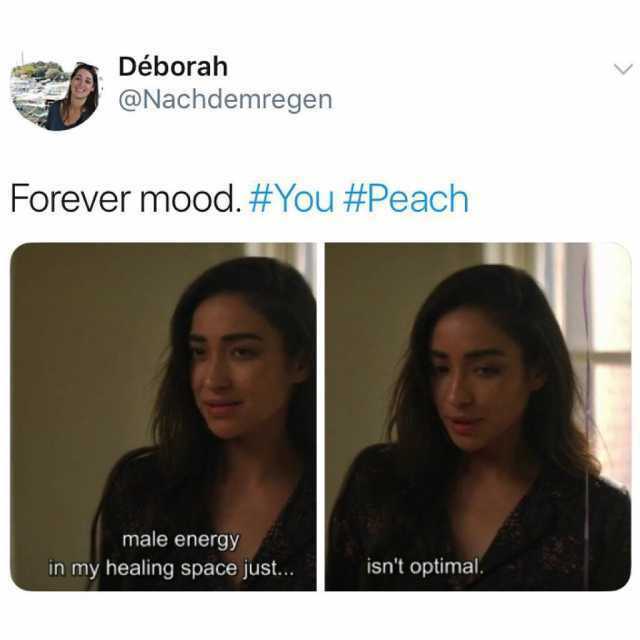 #You #Peach male energy in my healing space just... isnt optimal.